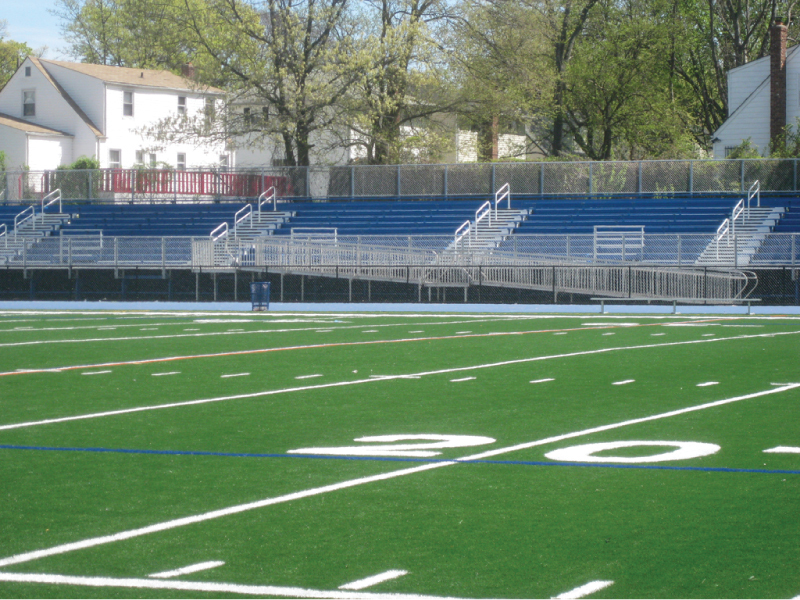 Holy Trinity High School has the largest outdoor grandstand of any school on Long Island. We were brought in to refurbish this 50 year old 14 row x 294 ft. existing grandstand. 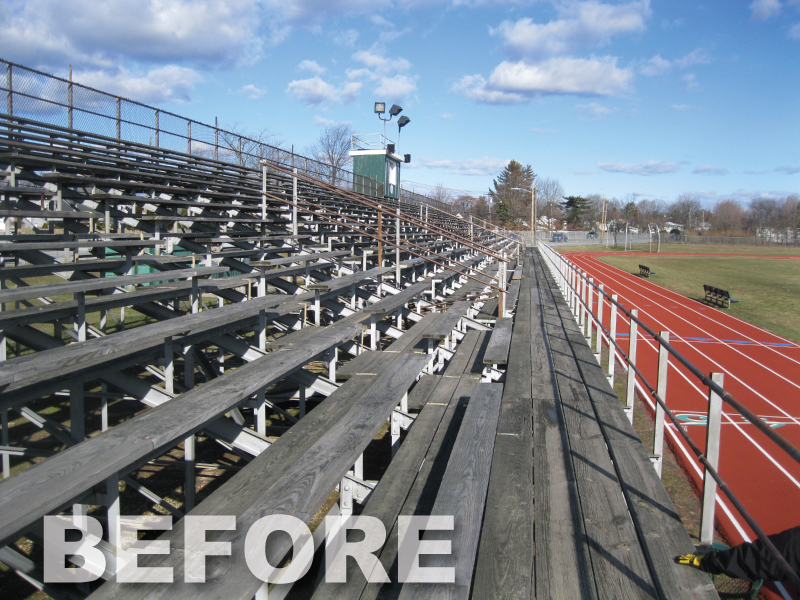 To begin this project we needed to remove approximately 4100 LF of existing wood seats and footboards. Aluminum was the material used to replace the seats and footboards to prevent future rust. Our team scrapped, sanded and painted the entire existing understructure with rust inhibiting paint. We worked with the Engineers at Sturdisteel to not only come up with ways to modify the first row, widening the front walkway for wheelchair access but also added two custom “L” shaped ramps that are entered from the rear of the stand. In addition, we implemented the proper number of aisles with handrails and riser boards to close any gaps, meeting today’s stringent code requirements. 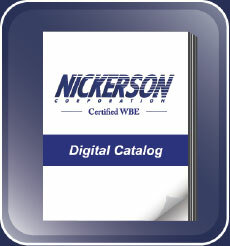 The final product is a brand new grandstand that will be able to withstand the elements for years to come. 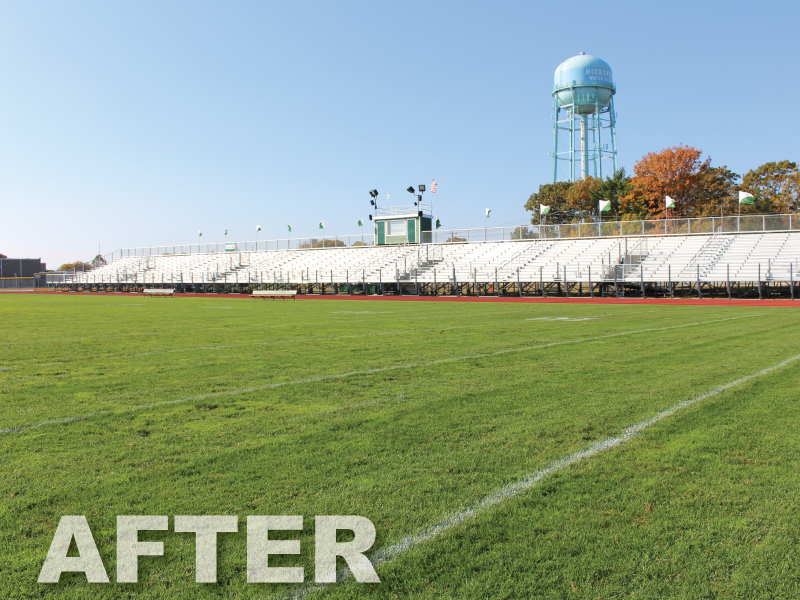 Summary: Like most school districts, Malverne approached their renovation project with cost savings in mind. 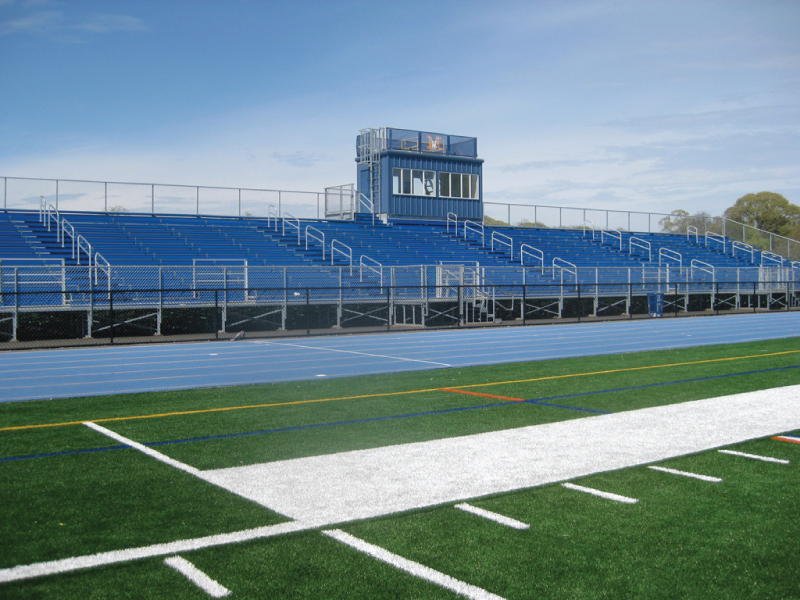 The school currently had a Grandstand on the far end of the field, however it was beginning to show it’s age and the district needed more room to accommodate spectator capacity. 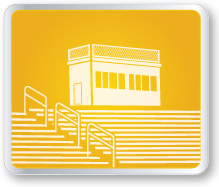 Since the existing Grandstand was structurally sound, the district decided to refurbish the Grandstand, which is a fraction of the cost of a new Grandstand. 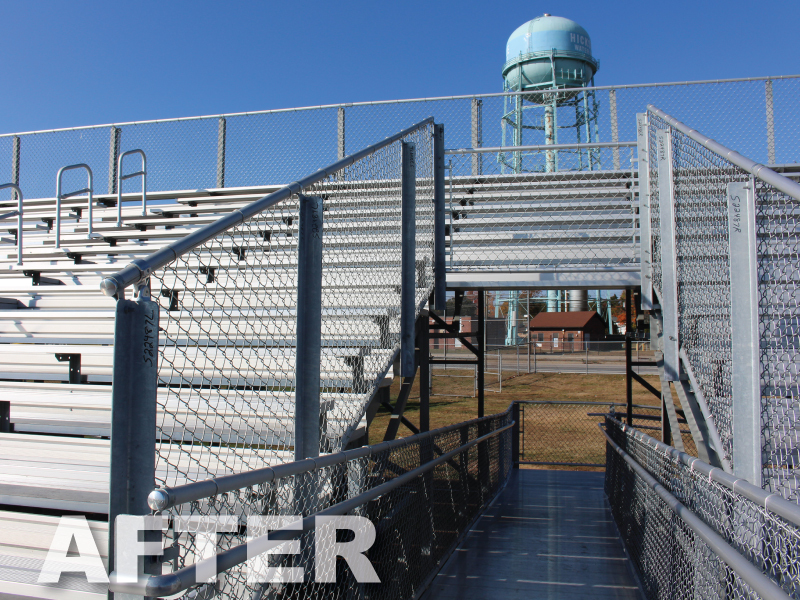 The Grandstand’s understructure was cleaned and repainted, to give the existing steel a fresh look. 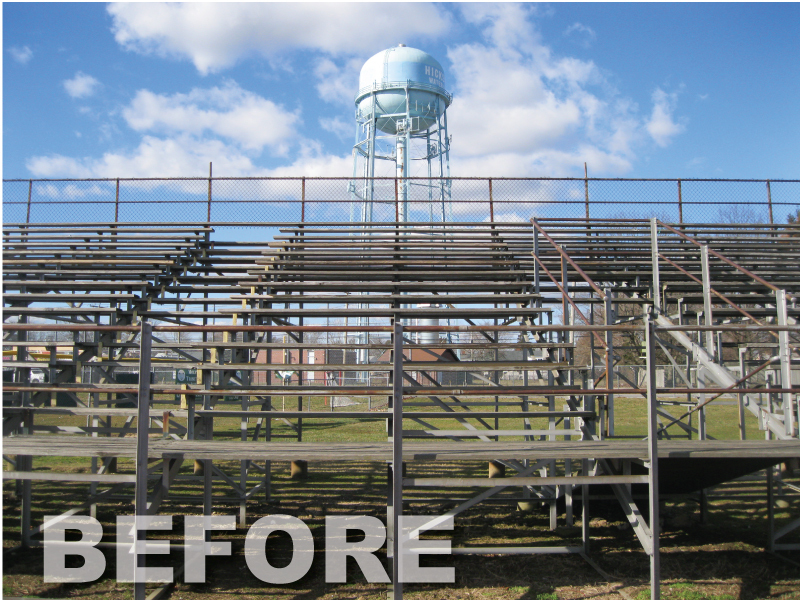 The top part of the bleacher was worn, so all of the existing seating and decking of the original grandstand was replaced. 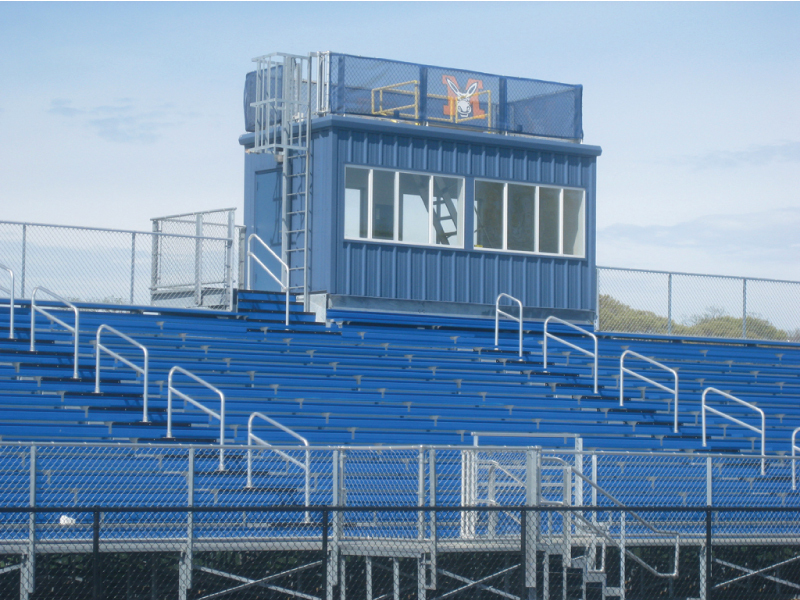 On the “home” side of their field the district purchased a new 15 Row Grandstand with Press Box. 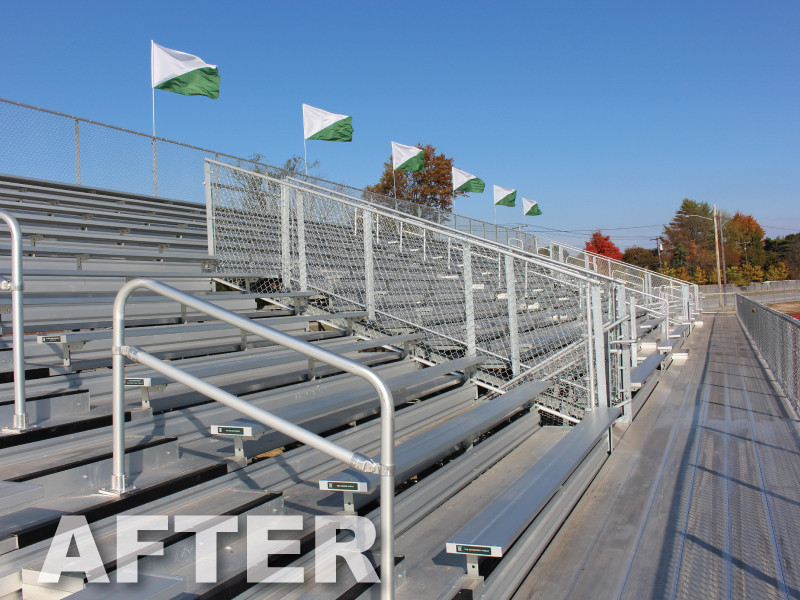 By refurbishing the existing bleacher, the school saved itself tens of thousands of dollars, and now has two attractive and functional Grandstands for their outdoor athletic field.